With the commodity supercycle in the past and political uncertainty currently surrounding many Latin American countries, opportunities for progress and economic development have emerged from new and untapped sources. Advancements in technology, consumer empowerment and a general awakening to the threats of populism have fostered an ideal environment for disruption in both business and government. Moreover, industries with historically separate markets in the U.S. and Latin America, are seeing increased collaboration and new opportunities for commercial linkages and economic activity. By capitalizing on these transformations, countries in the region have the opportunity to break the cycle of incremental measures towards prosperity, and disprove the belief that reducing income inequality and fostering growth represent a zero-sum game. The 2018 Latin American Business Conference will gather prominent and influential leaders from both the private and public sector to address the opportunities and concerns of the region and suggest calls to action from its business and political decision-makers. 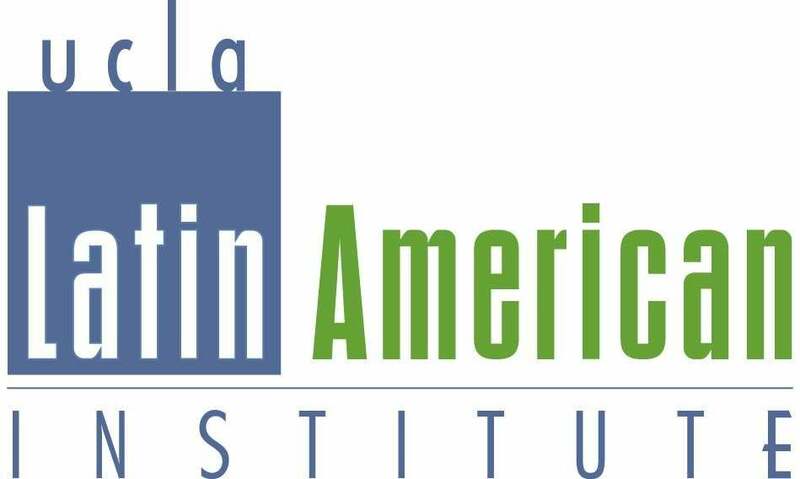 They will share their experiences, insights and forecasts on what is to come economically, politically and socially, and will provide ideas on what is needed to move from opportunity to action as Latin America considers its future and rethinks traditional industries and systems. They will also address the business and investment opportunities for the region and the industries and sectors that are ripe for change, innovation and positive disruption and discuss how Latin America is well positioned to foster stronger and more sustainable economic growth, stimulate innovation and technology advancement, leverage trade opportunities with the United States and carefully and strategically plan for a brighter future. Distinguished and influential leaders from business and government who do business in and with Latin America. Discussions on the region’s economic, trade, political and social prospects with panels focused on innovation and technology for financial transformation, clean energy as a path towards sustainable and inclusive growth, and Mexico's view on the current NAFTA renegotiations. Description: Latin America’s financial landscape is on the brink of significant transformation. With technology firms deploying ever more innovative platforms, venture capital flowing to FinTech startups, and governments placing increasing importance on financial inclusion, the stage is set for disruptive business models to transform Latin America’s traditional banking sector into something beyond our imagination. Industry players must act now to strike the balance between competition and collaboration that will govern the relationship between disruptors and incumbents, and will define the future of Latin American banking. What actions should large commercial and investment banks take to adapt to this new era in financial services sector? What role should governments play in ensuring healthy coopetition between startups and traditional financial institutions? What strategies and tactics should U.S. technology innovators employ in Latin America to solidify their positions as enablers of the region’s FinTech revolution? Panelists will share their ideas on how to respond to this call for action from various perspectives including traditional banking, venture capital, and technology. They will also provide a framework to answer the most complex questions regarding the next steps in the transformation of the Latin American banking industry and the imminent rise of Fintech. Description: The renewable energy sector already generates billions of dollars in economic activity and is expected to continue its growth in the coming years. With such growth, comes tremendous opportunities for countries that invent, manufacture and export clean energy technologies. Latin America, the source of many of the world's biggest oil producers and leaders in the clean energy and bio fuel space, is exploring opportunities in this sector through a growing number of innovative technologies and public-private sector partnerships. Investments in clean energy are also climbing. Between 2013 and 2016, the region witnessed over 150% increase in energy deals. To leverage the disruptive potential of the clean energy sector, Latin America will need the technological and financial support and cooperation from other nations, including the United States. Is the Latin America region ready for a technological transformation in the energy sector? What technologies can be traded between the United States and Latin America and what new opportunities will arise? Will Latin America be a leader or a follower in the renewable energy industry? How does a relationship in the energy space between the U.S. and Latin America impact the export markets and the jobs that are created locally? Who are the biggest investors in the sectors and what role do governments play in stimulating the sector? Panelists will address these questions and more and share their predictions on the current and future state of the clean energy industry in Latin America and its importance to the region’s path towards sustainable growth. Description: NAFTA, the North American Free Trade Agreement between Canada, Mexico and the United States was established as trilateral trade bloc in North America. Soon after President Trump’s election, he announced that the U.S. would begin renegotiating the terms of the agreement to resolve some of the trade issues that he had campaigned for. The outcome of the current renegotiations could result in a U.S. withdrawal. Such an outcome would have serious implications not only for trade and the economic stability of Mexico and Canada but also for immigration, border security and counterterrorism. Labor intensive industries, such as the automotive, textile manufacturing and agricultural sectors that rely heavily on trade among the three countries are urging the government not to withdraw, job losses would be dramatic and damaging to their economies and the ripple effects on other industries such as trucking, shipping and warehouses could be disastrous. A U.S. withdrawal would also have negative ramifications for the U.S., including reduced access to its biggest export markets, a reduction in economic growth and increased prices for consumers for gasoline, cars as well as agricultural products such as fruits and vegetables. What outcomes should we expect for Mexico if the U.S. withdraws from NAFTA? What would the ripple effects be on other economies in Latin America? Is the Trump administration’s desire to return relations with Mexico to the pre-NAFTA era misguided? What is the risk that Mexico will turn to left-wing populists as several of its neighbors in the region have done? What measures are these industries taking in an effort to continue operations as usual? What will be the ramifications on the supply chain management of these sectors? Will the United States continue as the principal trading partner with Mexico or will other partners, such as China step in? Panelists will share their thoughts on how Mexico should respond to a possible U.S. withdrawal and what actions must be taken to sustain a potential downturn in its economy. If NAFTA is terminated and these impacted industries are forced to change the way they do business, what does this mean for these sectors, their supply chains and for the consumers in each country? Cate Ambrose is President and Executive Director of the Latin American Private Equity and Venture Capital Association (LAVCA), a non-profit membership organization comprised of over 180 firms that control assets in excess of US$65b directed at capitalizing and growing Latin American businesses. She speaks and writes regularly on a range of topics related to public policy and private investment in Latin America, and is a regular commentator on CNN En Español, Bloomberg, and Fox Business, and a guest lecturer at The Wharton School. Ambrose is also a member of the Board of Directors for Youth INC, a non-profit organization dedicated to improving the lives of New York City’s youth. Prior to joining LAVCA, Cate was Chief of Advocacy for the Commission on Legal Empowerment of the Poor, a United Nations initiative co-chaired by Peruvian economist Hernando de Soto and former US Secretary of State Madeleine Albright. Until 2005, Ambrose was executive director of programs at The Economist. She began her career as a journalist in Spain. She holds an MPA in International Economic Policy from Columbia University, and received her BA in Latin American studies from St. Lawrence University and the University of Madrid. Lee Bailey is a Managing Director of Ascent Holdings, LLC based in Los Angeles. Prior to Ascent, he Bailey was a founder and managing director/managing partner for US Renewables Group (USRG) representing $750 million in capital invested in approximately 23 investments. Prior to joining USRG, Bailey was a partner with Rustic Canyon Partners (“Rustic Canyon”) where he focused on investing in energy based companies. He started his career as a lawyer and then held several senior management positions with Energy Conversion Devices, Inc., an energy technology development company. He has over 30 years of operating experience in technology‐based companies, fund management and government service, primarily in the areas of energy and IT. Prior to joining Rustic Canyon, Bailey was the founding director of a $60 million joint U.S.‐Israeli government fund. He also served as the White House Director for International Science and Technology Commercialization Programs from 1995 to 1997, where he represented the U.S. government in promoting its strategy of privatization and commercialization of technology developed in Russia, Egypt, Israel and South Africa. In addition, Bailey has served as the CEO of several start‐up companies, including the Rural Health Care Corporation. Bailey is a trustee for St. Lawrence University in Canton, NY and a member of the Board of Directors for the Wild Center in Tupper Lake, NY. Carlos Barrera is the chief executive officer of Atlas Renewable Energy. Before joining the company, he worked at SunEdison for six years, as managing director and vice president for Latin America where he grew the business from scratch to invest $1bn in a span of 4 years, and develop 500MW+ of projects financed and constructed. Prior to that, Barrera was with BP in multiple executive roles across Oil & Gas, Cleantech Venture Capital, and Alternative Energy in London, Australia, China and Madrid. He holds an engineering degree from Lehigh University, a PLD certificate from Harvard University, and an executive MBA from Kellogg, Northwestern University. Walter Bayly was named chief executive officer of BCP, and chief operating officer of Credicorp effective April 2008. Before assuming the role of CEO, Bayly was the chief financial officer of the organization. Previously, he held various other management positions within BCP, which included managing the wholesale banking group, investment banking as well as systems and reengineering. Bayly joined BCP in 1993, after three years at Casa Bolsa México where he was partner and managing director in corporate finance. Prior to that, for ten years he was with Citibank in Lima, New York, México, and Caracas, where he worked primarily in corporate finance and loan syndications. Bayly received a bachelor’s degree in business administration from Universidad del Pacífico in Lima, Peru, and a master’s degree in management from Arthur D. Little Management Education Institute in Cambridge, Massachusetts. Bayly is currently chairman of the board of Prima AFP (Private Pension Management Co), Credicorp Capital and Mibanco, Member of the Board of Directors of The Institute of International Finance, Pacífico Cía. de Seguros y Reaseguros, Pacífico Entidad Prestadora de Salud, Banco de Crédito de Bolivia, Atlantic Security Bank Panamá, Inversiones Centenario, and the Fondo de Seguro de Depósitos (Deposit Insurance Fund). He is also member of the board of advisors of Universidad del Pacífico and the Peruvian chapter of Universidad Tecnológica de Monterrey. Richard Brent is the CEO of Louroe Electronics, a global manufacturer of advanced audio monitoring technology for security solutions based in Van Nuys, California. He was brought on as CEO in 2010, bringing over 30 years of leadership and management experience in the technology sector and over 15 years of domestic and international government relations. Under Brent’s guidance, Louroe Electronics has become the industry leader in audio security, with over 800,000 Verifact® microphones in use in over 58 countries. Its solutions have been the recipients of numerous awards, including the 2013 Security Industry Association (SIA) New Product Showcase, the 2014 Security Products New Product of the Year Award, and the 2015 Security Sales & Integration Top 30 Technology Innovations Award. Brent has not only been an influential figure at Louroe Electronics, but has also become a respected thought leader in security. Over the last three years, he has published over 25 articles that have been featured in the industry’s top publications including Security Products, Correctional News and Campus Safety. Brent has also participated in several initiatives and coalitions designed to shape the standards, regulations and future of the security market. In 2014, he chaired the SIA Government Summit and was later recognized for his outstanding work by receiving SIA’s 2014 Committee Chair of the Year Award. Brent also chaired the 2015 SIA Government Summit and was elected to SIA’s Board of Directors for the 2015-2017 term. As the leader of an American manufacturer, Brent has also been a key small business advocate in the commerce sector. He currently serves as a member of the U.S.-Mexico CEO Dialogue, which was founded in 2013 by the U.S. Chamber of Commerce. Brent is a voting member of the District Export Council of Southern California (DECSC) and chairs the DECSC’s Manufacturing/Fulfillment Vertical committee. Additionally, Brent has represented Louroe Electronics on several trade missions to Latin America. The business trips have led to the substantial increase of sales for the company in the region as well as industry-wide recognition. In 2015, the U.S. Secretary of Commerce Penny Pritzker presented Louroe Electronics with the President’s “E” Award for Exports, which is the highest recognition any U.S. entity may receive for making a significant contribution to the expansion of U.S. exports. Prior to joining Louroe Electronics in 2009, Brent worked as the government affairs director for Solar Turbines Inc. for over 24 years. Carlos Cesarman is the CFO at PINFRA, a company focused on the construction, operation, maintenance, financing, and promotion of infrastructure projects. Cesarman joined the company in 2002 under Grupo Tribasa and was an active part of the restructuring of the company; which at the time was in Chapter 11. In 2005, the company returned to the Mexican Stock exchange as PINFRA. He has served in this role as CFO since this time. Cesarman has experience in different fields, playing an active role in the planning and growth of the companies he has worked for. In the various positions he has held, he has been involved in restructuring, refinancing and entrepreneurial (start-ups); the primary focus of his work is creating value for the companies. Cesarman has experience as an author and has published three books. He also serves as professor of financial systems at the Universidad Iberoamericana in Mexico City. Professor of Finance Bhagwan Chowdhry began his teaching career at UCLA Anderson in 1988. Here he found “an opportunity to work with and learn from outstanding faculty colleagues and an ability to work with students on projects that will make a difference in the world.” During his tenure he has also been a visiting professor and lecturer at a variety of institutions, including the University of Chicago, University of Illinois at Chicago, the Hong Kong University of Science and Technology, and the Indian School of Business. He is a current visiting scholar at the Stellar Development Foundation. That commitment may be best illustrated with his proposed Financial Access at Birth (FAB) initiative in which every child born in the world is given an initial deposit of $100 in an online bank account, guaranteeing that everyone in the world will have access to financial services in a few decades. Professor Chowdhry is a frequent contributor to the Huffington Post and is the co-founder (with Professor Ivo Welch) and executive editor of a new publication, Finance & Accounting Memos (FAMe), that makes academic research more accessible for MBA and Ph.D. students, journalists, policy makers and other academics. He was educated at the Indian Institute of Technology and received an MBA in economics and a Ph.D. in finance from the University of Chicago. Bryan Early works as the special advisor to Commissioner McAllister at the California Energy Commission (CEC). The CEC is the energy planning and information office for the state of California, and Commissioner McAllister’s office oversees energy efficiency policy for the state. Early works to effectuate California’s goal of doubling energy efficiency savings by 2030, through achieving a doubling of energy efficiency in California’s existing buildings and through efficiency standards for new construction and appliances. He also works to ensure the CEC tracks efficiency in a rigorous and data-intensive manner so that California can realize the full cost savings and carbon reduction potential of energy efficiency. Early also serves as the lead advisor to Chair Weisenmiller on Mexico-California issues. To that end, he works to implement the Energy Memorandums of Understanding the CEC signed with Mexico in 2014, and later with the Mexican states of Jalisco and Aguascalientes. Early works to encourage and promote technical bilateral cooperation and joint implementation of programs and activities between California and Mexico in the areas of energy efficiency, renewables, clean technology, and biofuels, with the goals of reducing GHG emissions and pollution and boosting sustainable economic development on both sides of the California-Mexico border. Previous to joining the CEC, Early worked for 10 years on clean energy and environmental policy in and around the California State Legislature, as a lobbyist at the firm Conservation Strategy Group to environmental organizations and clean tech companies, as an aide to California Assemblyman Mike Feuer, and as an activist at the environmental organization Californians Against Waste. He has a Master’s degree in environmental management (MEM) from Yale University. Edwards is an associate editor of The World Economy, the Journal of International Trade and Economic Development, Journal of International Financial Markets, Institutions and Money and Analisis Economico. For almost 10 years he was the co-editor of the Journal of Development Economics. Edwards has been a consultant to a number of multilateral institutions, including the Inter-American Development Bank, the World Bank, the IMF and the OECD. He has also been a consultant to the United States Agency for International Development and to a number of national and international corporations. He has worked in Argentina, Brazil, Bolivia, Chile, Colombia, Costa Rica, Egypt, Guatemala, Honduras, Indonesia, Korea, Mexico, Morocco, New Zealand, Nicaragua, Tanzania and Venezuela. He has also consulted for a number of international financial institutions and multinational firms. Edwards was born in Santiago, Chile. He was educated at the Catholic University of Chile, and received an M.A. and Ph.D. in economics from the University of Chicago. Veronica Elizondo is the global head of strategic planning at Sigma Alimentos, a food company with more than US$5 billion in sales and operations in 17 countries. She is responsible for the planning and long-term vision for the company's strategic plans, as well as capturing savings and opportunities through a global sourcing organization for the company´s raw materials. During Elizondo's professional career, she has been involved in various change management projects as well as company integrations and acquisitions. Prior to her current position, Elizondo led a variety of units such as information technology, human resources, planning, sustainability, and culture. She holds an degree in electronic systems engineering from ITESM and an MBA from Stanford. She has also participated in several leadership programs at Harvard, Stanford, Booth and Wharton. UCLA’s first chief sustainability officer, Nurit Katz is working to foster partnerships among academic, research, and operational departments to facilitate creating a world class living laboratory for sustainability at UCLA. As executive officer for UCLA Facilities Management, Katz provides strategy support to make the university more operationally efficient and coordinates with Emergency Management on resilience planning. Facilities management provides energy to the campus through a highly efficient cogeneration plant, as well as managing landscaping, renovations, operations and maintenance. Katz is also an instructor for UCLA Extension’s Sustainability Certificate Program. Before starting this position, she founded the GSA Sustainable Resource Center to provide resources to the community on sustainability. She then served as president of the Graduate Students Association and assisted in the development of a new interdisciplinary graduate certificate program, Leaders in Sustainability. Katz’s course, Principles of Sustainability was recently included in LA Weekly’s “Best of LA 2012” as one of the “10 Best Classes in Los Angeles.” In 2017, she received the Dean’s Award from UCLA Extension for outstanding instruction and contributions to the UCLA Extension community. She was recognized as one of the top 100 business trailblazers in the “Women Worth Watching 2015” issue of Profiles in Diversity Journal. She serves on the executive committee of the Luskin Center for Innovation and on the advisory boards of the Southern CA Green Business Council, the Built Environment for the LA Cleantech Incubator, as well as the steering committee for the USGBC Resilience LA Initiative and the leadership team for Path to Positive LA. Katz also works on building statewide collaboration and best practice sharing through the CA Higher Education Sustainability Conference Steering Committee. Katz holds an MBA from UCLA Anderson, a Masters in Public Policy from the UCLA Luskin School of Public Affairs, and a BA in environmental education from Humboldt State University. She was honored as one of UCLA Anderson’s “100 Inspirational Alumni.” In 2010, she completed a full ironman triathlon with Team in Training in support of the Leukemia Lymphoma Society. In 1999, Marcelo Sada co-founded Source Logistics and serves as the company’s CEO. Under his leadership, the company transformed into a national logistics, fulfillment and printing solutions company in the U.S., servicing the food, apparel, consumer goods, health care and financial industries. Sada has turned Source Logistics into a leading logistics company in the U.S. with locations in Los Angeles, Houston, Dallas and Laredo, TX, New Jersey and Portland, OR. Source Logistics has been recognized as one of the Fastest Growing Private Companies in the U.S. and has been recognized five times by Inc. Magazine’s 5000 list. Sada is active in finding creative solutions that benefit the trade between the U.S. and Mexico. He is an advisor to boards of private companies as well as a former member of the business advisory board for NAFIN in Los Angeles. He is also former president of the ProMéxico business advisory board in Los Angeles and currently serves as vice president of the AEM (Mexican Entrepreneurs Association) Los Angeles chapter. He also has held numerous positions where he has been involved in trade between Mexico and the U.S. at both Mexican and U.S. companies. Sada graduated from the University of Monterrey (Mexico) where he focused on international studies. Eduardo Urdapilleta leads the bank’s profitable consumer and business deposits growth with a focus on state-of-the-art marketing and data analytics initiatives. Prior to joining BofI Federal Bank, he was Director of Business Analytics at Citibank N.A., based in New York City. At Citibank, he led the analytics area for the global transaction business and drove a transformational program for the changing retail business, improving revenue and cost drivers for key products and client segments. Prior to working at Citibank, Urdapilleta was Senior Financial Economist at the World Bank, based in Washington, D.C., where he worked on fostering the development and stability of the financial sector, restructuring institutions during the 2008 financial crisis and organizing lending operations to clients. Urdapilleta was a Partner at McKinsey & Company, where he worked for more than eight years with a focus on the financial sector (FIG). As a McKinsey Partner, he led teams working with senior management and board members of large and regional banks, financial and insurance companies, and asset managers on strategy development, operations and organizational effectiveness, risk management and data analysis, and corporate finance while working globally. He has also performed relevant work in other global industries. Urdapilleta is fluent in English, Spanish, Portuguese, and French. He holds both a Masters in Economics and a Master of Business Administration from the University of California, Los Angeles (UCLA), where he was granted the Carter Fellow Award for Academic Excellence. He also holds a degree in Industrial Engineering. Carlos J. Valderrama is the president of the Center for Global Trade & Foreign Investment at the Los Angeles Area Chamber of Commerce. He is responsible for developing and implementing programs to create employment and economic growth by fostering global trade and investment for Los Angeles Metropolitan Area businesses. Valderrama has served as the director of Latin American operations for two prominent law firms in Los Angeles. He was responsible for structuring joint ventures, mergers and acquisitions, exporting, importing and investment business relationships between U.S., European, and Pacific Rim and Latin American firms. Valderrama was appointed by and represented Governors George Deukmejian and Pete Wilson as the California Trade Representative in Mexico and Latin America. He was assigned with the opening and organization of the California Trade and Investment Office in Mexico City where he promoted state exports and joint ventures between California and Mexico. He also served as the director of the Office of Export Development, managing programs promoting California products and services worldwide, in addition to overseeing the operational activities of the state’s overseas trade and investment offices. He has held executive positions with General Telephone Electronics, GTE Overseas Groups in Brazil and Panama, as the marketing manager and general manager respectively. Valderrama has worked closely with former Mayors James Hahn and Antonio Villaraigosa, and currently is working with Mayor Eric Garcetti in developing, organizing and implementing foreign trade missions, and attracting foreign investment to the region. He is one of the founders of the Los Angeles Regional Export Council (LARExC), an outcome of the Brookings Institution Metropolitan Policy Program. Valderrama was recently appointed by Gov. Edmund G. Brown to the International Trade and Investment Advisory Council. The council will advise the Governor’s Office of Business and Economic Development (GO-Biz) on strategies to expand international trade and investment for California businesses. He was recently appointed to serve on the U.S. Chamber of Commerce’s International Policy Committee.